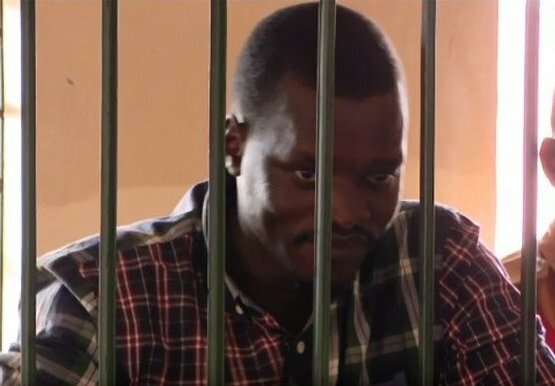 KAMPALA – Grade one magistrate Ms Roseline Nsenge of the Law Development Centre court has today ordered for the unconditional release of Moses Bigirwa; an activist from the Uganda young Democrats. Bigirwa had re-appeared before court for his bail application ruling, however his lawyer Sam Muyizzi asked court to instead just close the case file because the Law under which his client is charged was an offence under Section 50 of the Penal Code Act that was scrapped by the Supreme court in 2004 for being unconstitutional and an infringement on the right to freedom of expression. The trial magistrate concurred with Bigirwa’s lawyer thus ordering for his immediate release. Prosecution had alleged that Bigirwa defamed Government to have hatched a plot to assassinate the Kyaddondo East MP; Robert Kyagulanyi Sentamu commonly known as Bobi Wine during a scuffle in Arua in which Bobi Wine and several legislators were arrested for stoning a presidential motorcade. According to the Director of Public Prosecutions (DPP); Bigirwa’s words were aimed at instilling fear in members of the public. Bigirwa was arrested on December 29, 2018, after a talk show on a local radio station at Bwaise and he has been on remand at Luzira prison since January 4, 2019.